HG Capital and its operating partner, Hibernia Capital Advisors, recently completed the $6,700,000 sale of a 52,000 square foot self-storage property in Tempe, Arizona. The undermanaged self-storage facility was purchased by the partnership in September of 2012. 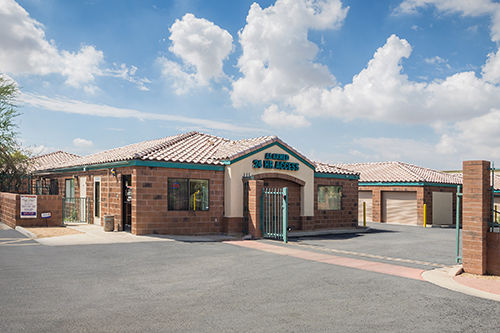 HG Capital and Hibernia Capital Advisors made the investment with the strategy of enhancing the property's cash flow through renovation and intensive management. Upgrades included a renovated office, improvements to the parking lot, energy efficient lighting, and new signage. The asset had strong revenue and income growth while its value grew significantly. As of April 2015, the property was approximately 90% leased. “We were pleased with the physical improvements to the asset, which contributed to the improved financial performance and ultimately a profitable sale,” says Andrew Jobst, Partner at HG Capital. This was HG Capital's first investment with the local operating partner after cultivating a relationship with the firm over several years. HG Capital's established trust and long term relationship with Hibernia Capital Advisors along with HG Capital's familiarity with this specialty real estate sector made this successful investment possible. HG Capital is a privately held real estate investment firm providing capital to experienced operating partners. The firm invests in real estate assets primarily through joint venture equity. These investments range broadly across real estate sectors and business plans. They include the acquisition, repositioning, development, and recapitalization of both commercial and residential projects. The HG Capital funds are fully discretionary, with the firm's principals directing all investment initiatives. The firm has a proven track record of providing capital for nearly 100 investments to support the acquisition and development of assets with an aggregate completed value in excess of $1.8 billion.